An airborne electro-optical laser sensor designed to detect minefields has demonstrated the ability to detect simulated improvised explosive devices. 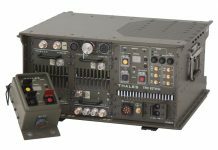 The Airborne Surveillance, Target Acquisition and Minefield Detection System (ASTAMIDS) developed by Northrop Grumman, demonstrated this capability during an Army evaluation of the new system. 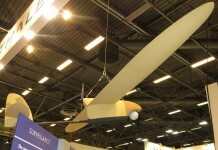 The system was flown on the MQ-8B Fire Scout unmanned aerial system. 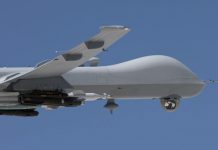 The Northrop Grumman Airborne Surveillance, Target Acquisition and Minefield Detection System (ASTAMIDS) flew for the first time aboard an unmanned air vehicle on Friday, Sept. 12, 2008. It was taken aloft by a company-owned MQ-8B Fire Scout. 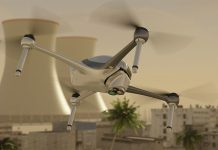 ASTAMIDS is being developed for the Army under its Countermeasures and Explosive Ordnance Devices and Command and Control Systems program offices. Photo: Northrop Grumman. 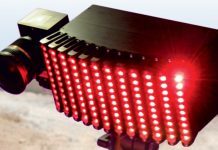 ASTAMIDS combines multi-spectral electro-optical sensors employing different sensing methods, including texture analysis and change detection, to spot recently buried objects suspected as mines or IEDs. 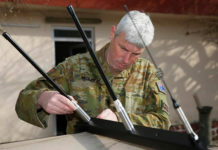 In addition to its primary counter-mine and counter-IED mission ASTAMIDS also provides reconnaissance, surveillance and target acquisition capability. The system’s laser can also designate targets for laser guided munitions. 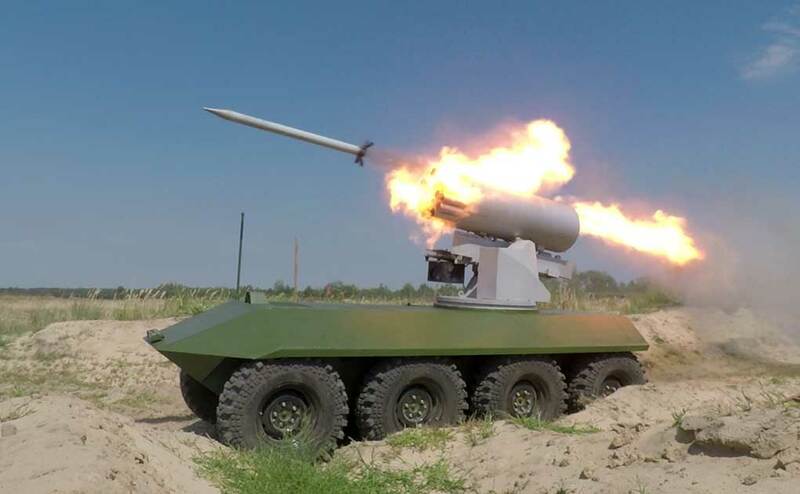 Under the Army evaluation the system successfully designated targets for three Hellfire missiles. Through a recent test series conducted in September 2010, ASTAMIDS flew 12 missions on an Army UH-1 and the Northrop Grumman owned MQ-8B unmanned vehicle. These flight tests evaluated the system’s C-IED nadir step stare, off-nadir road following and large area precision mapping capabilities. These capabilities were supported by the new ‘ASTAMIDS Ground Exploitation Station’ (AGES), integrated with the systems’ ground control segment for the test. AGES processed streaming telemetry data obtained from the airborne sensor, enabling operators to identify target locations in near real-time. 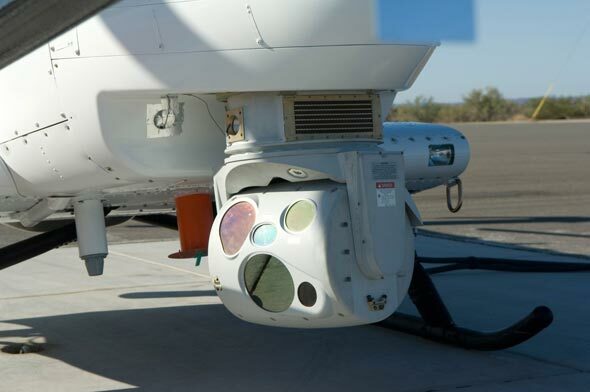 The core of the system is the gimbaled, lightweight, multi-spectral, electro-optical and infrared imaging sensor designed to be flown on both manned and unmanned aircraft. The airborne payload weighs about 36 kg (80 pounds). Integrated with AGES processors and software, the system detects, locates and identifies ground targets, minefields, obstacles and IEDs, determines ranges to ground targets, and, as proven in the tests, designates targets for attack by laser-guided munitions. According to the U.S. Army PM Close Combat Systems, “ASTAMIDS will give Army Brigade Combat Teams unprecedented situational awareness and target designation capabilities.” The near-real time response of the system is critical for counter-IED missions, as it provides warfighters with actionable intelligence minutes after a specific area is analyzed. “These tests proved we’ve achieved our goal with ASTAMIDS – we can identify ground threats and deliver targeting-quality data to adjacent warfighters to destroy the threats and do that in near real time” said Dan Chang, Northrop Grumman vice president of Maritime and Tactical Systems.